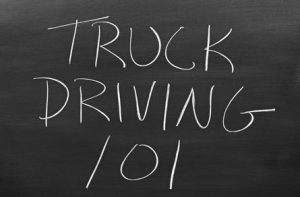 tips for preparing for the CDL test | Platinum Drivers Inc.
Can You Study for a CDL? In order to drive certain types of commercial motor vehicles, drivers must obtain a commercial driver’s license, also known as a “CDL.” It’s a requirement of the federal government and comes in different classes– Class A, Class B and Class C. The type of vehicle a driver intends to drive dictates their CDL classification. One of the main ways the CDL classification is determined is ultimately by the vehicle’s gross vehicle weight rating. How can you study for a CDL? Of course there’s the main way: attend truck driving school. That’s where you’ll learn about what’s on the exams and you’ll be taught accordingly. Meanwhile, you can take advantage of your state’s CDL manual. This is like the Bible of trucking– you can read that cover-to-cover and memorize key points in order to prepare for the CDL exam(s). Since the written exam is based on information contained in the CDL manual, it makes sense to emphasize knowing and understanding what’s in it. Some people end up making flash cards to become overtly familiar with state’s driving laws, for example. Others utilize online quizzes. And there’s always the old standby of asking a friend or loved one to help you study for the big test in whatever way works best. Should your state offer a practice exam, you might as well take it. This allows you to have the pressure of taking the test without worrying about failure. That way you’re better prepared for the actual test when it comes. As for the skills exam, spending time behind the wheel of the truck you intend to drive is going to benefit you the most. You can practice with an instructor/a licensed commercial driver present. Don’t forget to take time to focus on vehicle inspections, as that’s a big part of the skills test. Finally, practice in small spaces as well as on the wide open highway so you’re used to a variety of driving challenges. Preparing For The Big CDL Test? Don’t Sweat It.